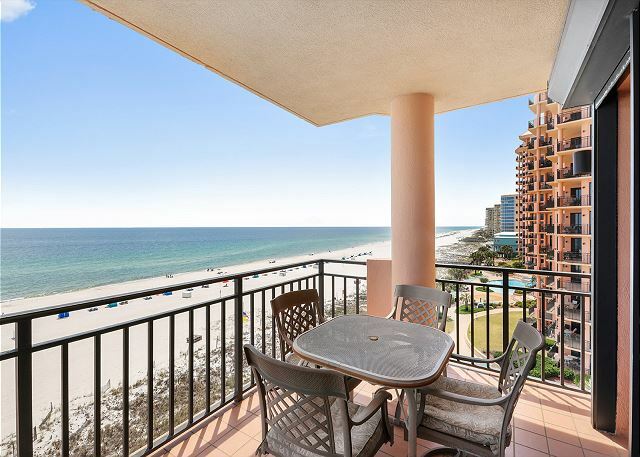 From sunrise to sunset, enjoy stunning Gulf views from the master bedroom, living area and large balcony. 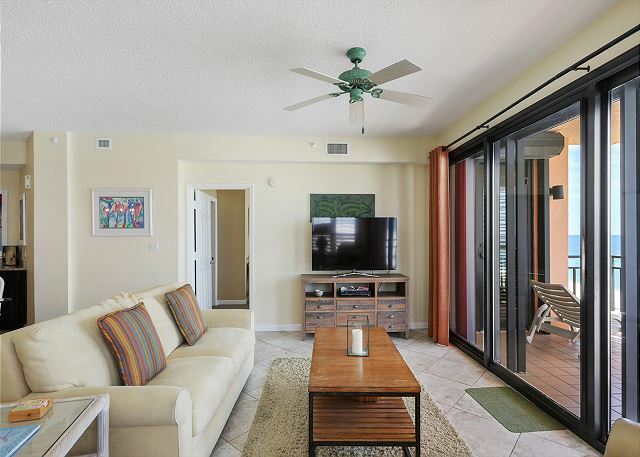 Relax in the comfortable, traditional Caribbean style decor infused with modern beach accents that fill this sixth floor 1,420 square foot, two bedroom, two bath beachfront getaway. 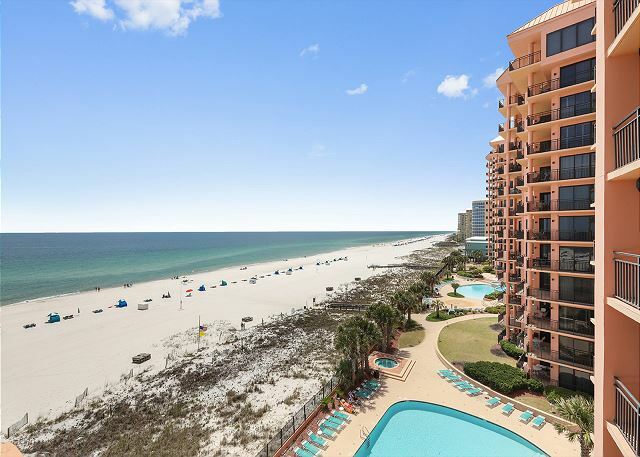 Enjoy the seaside experience with all the comforts of home. This includes Free DSL. The living room boasts a 56” Widescreen TV with DVD and VCR. Both the Master and Guest Bedrooms have flat screen TVs. Enjoy traditional dining in the Dining Area or take-in unforgettable sunsets over a family meal on the balcony. 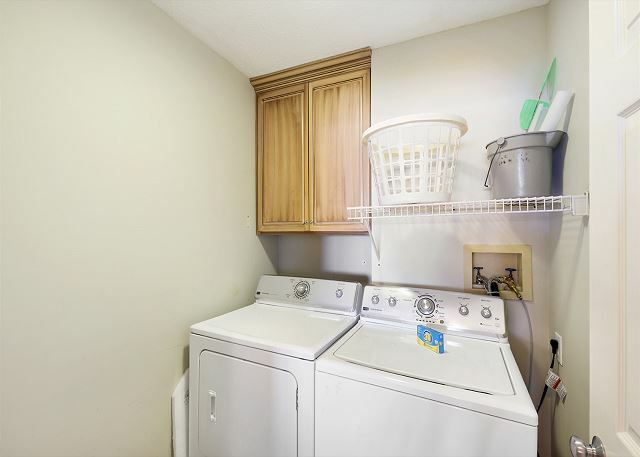 Fully appointed kitchen includes ice maker, microwave, dishwasher and laundry room with full size washer and dryer. 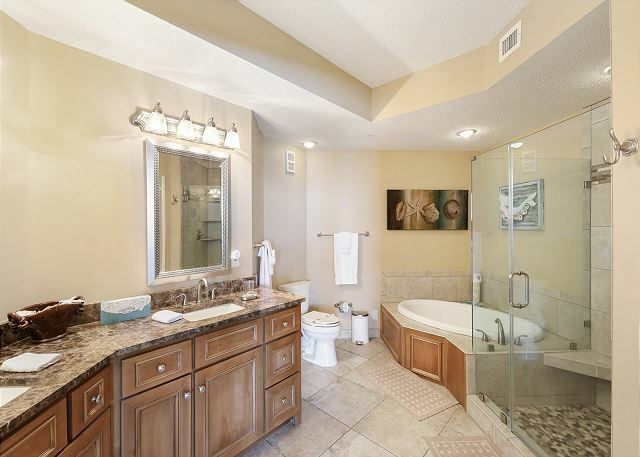 Other features include 9 foot ceilings ceiling fans, central heating and air conditioning, and a large master bath with garden tub, separate glass enclosed shower, double vanity and lots of closet space. Upon arrival the staff was awesome (as always). Arrived a little early before check in time but was allowed to unload our luggage and get situated for our stay. 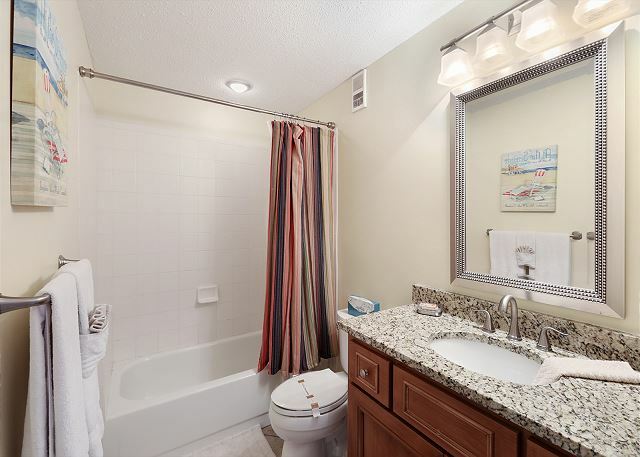 Condo was very clean and nicely furnished. We will definitely be back to Seachase!! We had a great trip! 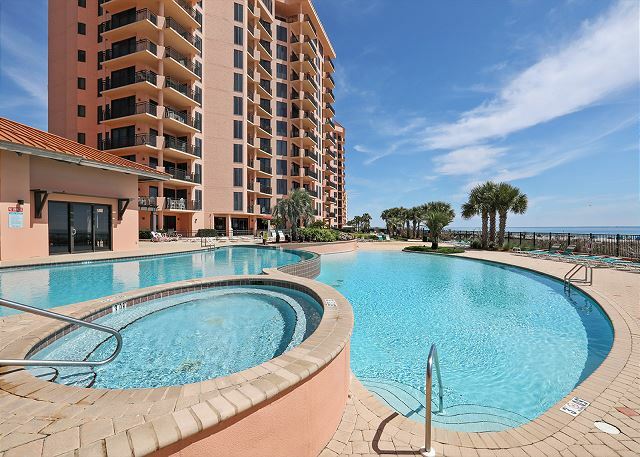 We love to stay at Sea Chase and it has become our go to place for our family vacation! It was a very relaxing and enjoyable week. The condo was very comfortable and very well kept up. First class establishment; well worth the money spent. Thank you for choosing the Aronov Gulf Coast team for your spring vacation. We're so glad you enjoyed your stay at SeaChase and hope to see you again soon! 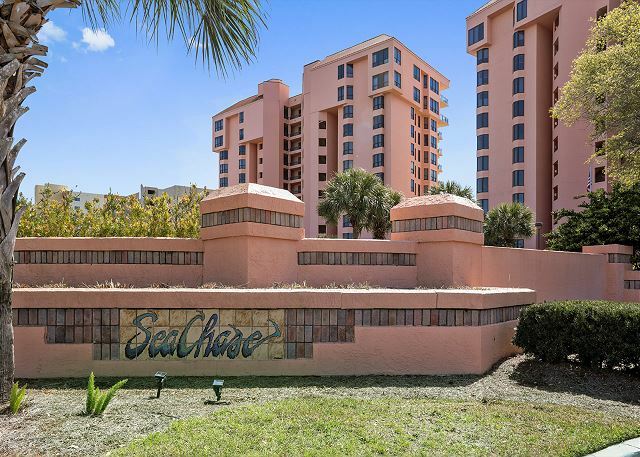 Seachase is the Best property to stay in - proven over 24 years. Great trip, great weather, consistent, great staff. Hate the new road system, But will have to deal with it. Patio furniture showing its age. Couch needs to be cleaned or a new cover put on it. Patio door in master bedroom needs lock/handle repaired. Door will not open thus no egress in case of fire. Windows needed cleaning on outside - a normal aspect of being at the beach though. 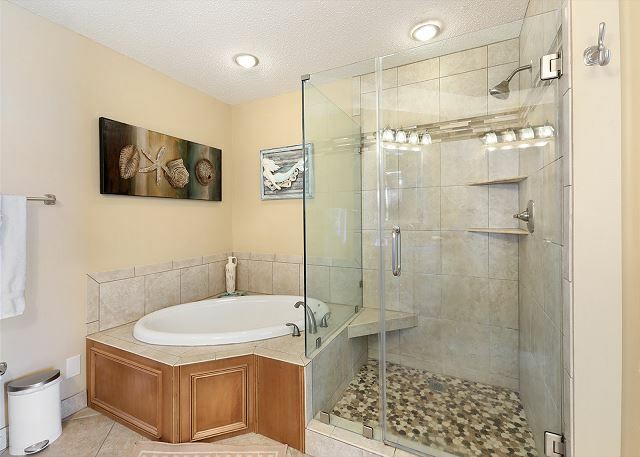 Furniture good, mattress great, love the remodeled bath and kitchen. Great BBK. We are always working to update our condos. Please let us know when you would like to come back for a visit. The grounds at Seachase are so impressive which makes an excellent start to your vacation. 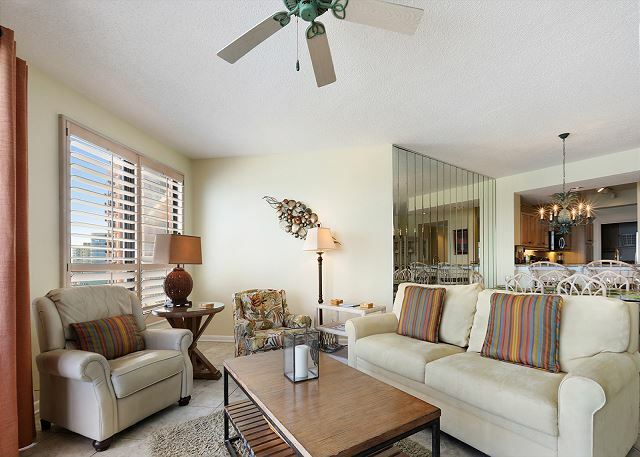 The condo had tons of upgrades, super comfortable furniture and extremely clean. 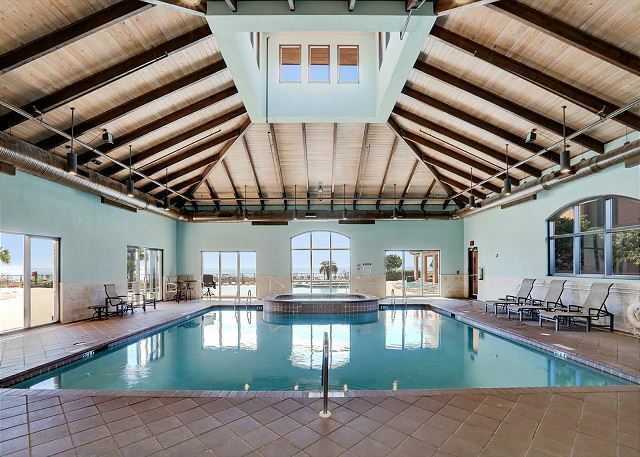 The property has beautiful pools and good size gym. 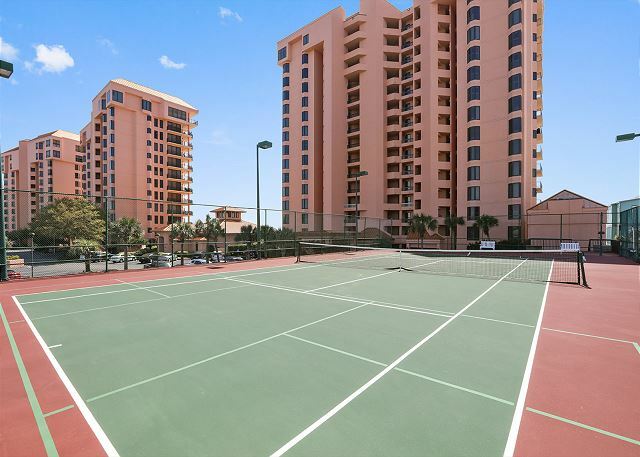 The location is in the middle of action: walking distance to shopping and restaurants. 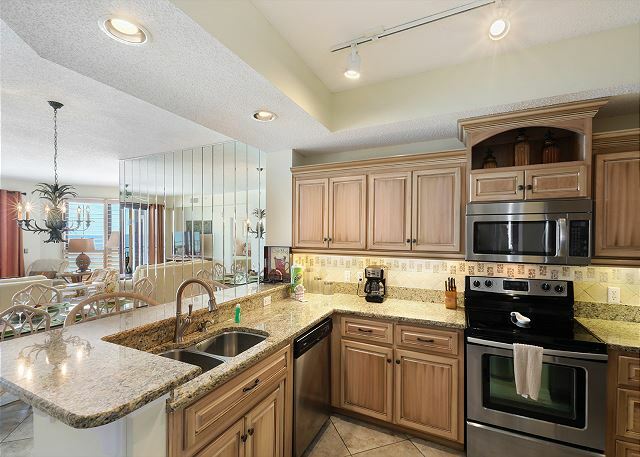 This condo is very nice. 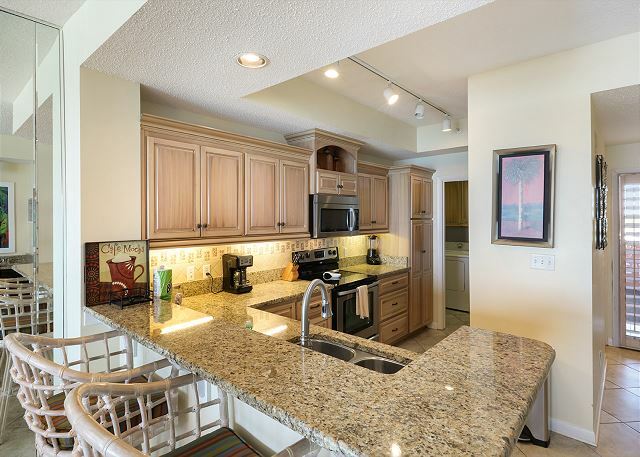 The kitchen is awesome and is fully stocked with everything you could possibly need. The property is always very nice and clean. The staff is always very professional and friendly. This is the second time I have rented at this property and I will definitely do so again. We had the most amazing spring break this year. Unit 603E is great. 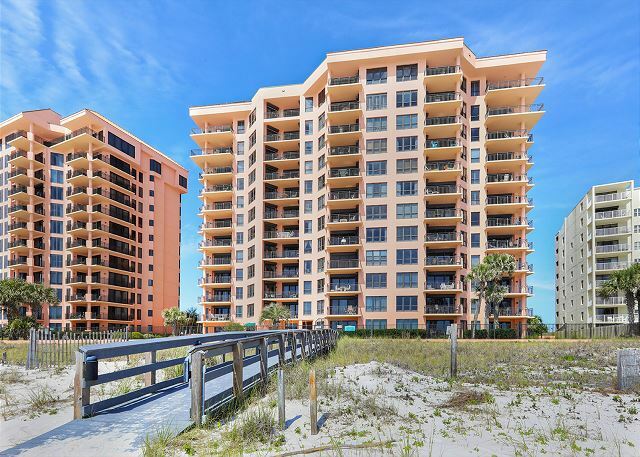 The owners have taken great care and have thought of everything you would need while staying in their condo. Kudos to the owners.